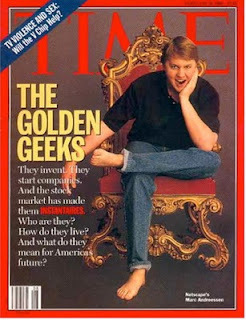 An amazing number of smart and sophisticated people continue to harbor the fantasy that philanthropic contributions can take over funding journalism from the media companies that traditionally have supported the press. In the interests of moving discussions about the endangered outlook for professional journalism back into the realm of realistic thinking, we’re going to do the simple math today to prove conclusively why this never will happen. 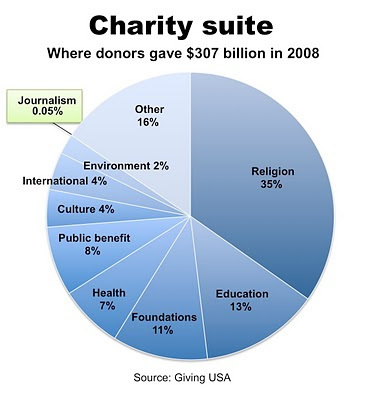 The math, as detailed below, shows that it would take $88 billion – or nearly a third of all the $307.7 billion donated to charity in 2008 – to fund the reporting still being done at America’s seriously straitened newspapers. If you want to cover magazines and commercial broadcasting – not to mention the myriad journalism start-ups responding to the meltdown of the mainstream media – it would take billions more in philanthropic support. But the number is so big and unapproachable that I gave up counting when I saw how comparatively little – $141 million – was raised in the last four years to fund non-profit news ventures. To be sure, a few boutique non-profits like Pro Publica, the Texas Tribune and the Center for Independent Media (recently renamed the American Independent News Network) have been funded generously to date to provide specialized reporting on select topics. But they make no pretense of providing the ongoing and intense beat coverage that historically were the meat-and-potatoes of quality local journalism. The sharp contraction in recent years in the sales and profitability of for-profit media companies has led to dramatic and traumatic staff reductions in almost every newsroom in the land. As the economy tanked in 2008, even philanthropically supported public broadcasters had to cut staff when contributions declined from not only foundations but also viewers and listeners like you. Rick Edmonds, the estimable media economics expert at the Poynter Institute, calculated that American newspapers are spending $4.4 billion today on news-gathering, or about 29% less than the $6.2 billion that funded newsrooms as recently as 2006. That’s a drop of $1.8 billion. If you wanted to sustain the current level of newspaper coverage by replacing for-profit funding with non-profit dollars, the typical approach would be to raise an endowment that would be invested conservatively to produce an annual return of 5%. The investment income would be distributed each year to provide the operating budgets for non-profit news organizations. The endowment necessary to provide $4.4 billion in annual newsroom funding would be $88 billion. This happens to be 29% of the entire $307.7 billion contributed to charity in 2008, according to data published by the Giving USA Foundation, the non-profit arm of an organization of professional fund-raisers. Given the downturn in the economy since 2008, it is a safe bet that charitable donations dropped in 2009 and probably will be less than $307 billion in this year, too. The decline in donations is not the biggest challenge for those counting on charity to rescue the press. The infinitesimal amount of support to date for non-profit news projects suggests that philanthropists have other long-standing priorities. As reported recently in the annual State of News Media study by the Pew Project for Excellence in Journalism, Jan Schaffer of the J-Lab at American University estimated that only $141 million (not including public broadcasting) of philanthropic support has gone into non-profit journalism efforts in the last four years. The sum is less than 0.05% of the $307 billion given to charity in 2008 alone. Either (1) vast new sources of charitable funding would have to be identified or (2) existing philanthropists would have to be persuaded to abandon their traditional commitments (see chart below) to religious, educational, social service, cultural, environmental and other organizations. While there is a pressing need to save the press, a major shift in the philanthropic paradigm seems unlikely, especially in an era in which most folks – with the notable exception of a fortunate few – seem to be tightening their belts. So, let’s stop dreaming about a visit from the Non-Profit News Bunny and get serious about discovering some realistic possibilities. Sliding sales, plunging profitability, contracting credit markets and faltering faith in the publishing business dropped the value of the Daytona News-Journal by 93% in four years. Key operating data from the Florida daily obtained from knowledgeable sources provide a rare case study of the forces that have converged to humble the once-mighty newspaper industry. While the News-Journal was valued at $300 million in an independent appraisal in 2006, a federal judge ruled last week that the paper was worth a mere $20 million. Thus, its value fell 93% in four short years. The judge’s ruling is likely to end a feud that erupted in 2004 between the heirs of founder Julius Davidson, which own a majority of the paper, and Cox Enterprises, which owns the rest. Six years after hostilities broke out, the paper is slated to be sold by the end of the month to a newly formed group of investors. 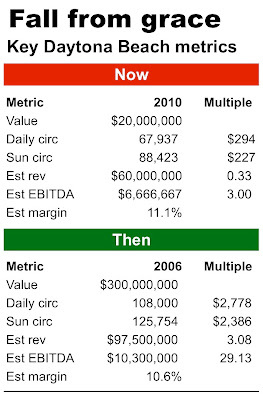 The case provides a rare apples-to-apples comparison of how a newspaper would be valued between 2006 and today. The year 2006 is significant, because it was the first of the four years in which newspaper revenues began their steadily accelerating decline. Detailed information about the newspaper's operations between 2006 and now show that revenue fell 38% to $60 million and EBITDA fell by 35% to $6.7 million. EBITDA, which is the most common way to measure operating profits, stands for earnings before interest, taxes, depreciation and amortization. The plunge in the paper’s value resulted not only from a severe downturn in its business but also from the contraction of the global credit markets and a loss of confidence in the future of newspapers. Consequently, the paper was deemed to be worth only 3 times its operating profits in 2010, as opposed to 29x its profits in 2006. Businesses are valued at multiples of their operating profits, because bankers use the metric to decide how much to lend to a buyer who usually puts up a portion of the purchase price in cash and borrows the rest. It’s a lot like taking out a mortgage on a house. When credit was freely available in 2006 and the growth prospects for newspapers were widely thought to be bright, banks were willing to give money to newspaper buyers at double-digit multiples of a publication's operating profits. This resulted from the belief that revenues and profits would grow sufficiently in the future to cover the interest and principal payments associated with the jumbo loans. The valuation of 29x EBITDA was aggressive even in 2006, but it was premised on the idea tht a new owner could cut substantial expenses out of the family-run operation to bring operating margins into the neighborhood of 25%. In that case, the multiple would have been a more reasonable 12x EBITDA. Now, take a look at the realities of the newspaper business today. With the industry seemingly in secular decline – and credit considerably tighter than it was four years ago – bankers barely are willing to lend 2x operating profits. Cash from a buyer, which is known as equity, would make up the difference between the loan and the total cost of an acquisition. Thus, the value of the Daytona Beach paper was trimmed not only by the decline in its business but also by a sea change in the credit markets and declining confidence in the future of newspapers. :: Revenue. As you can see from the column titled “Multiple” on the “Now” table, the Daytona Beach paper today is valued at 0.33 times its revenue of $60 million. If you know your paper’s revenue, multiply it by 0.33 to calculate its approximate value. :: EBITDA. 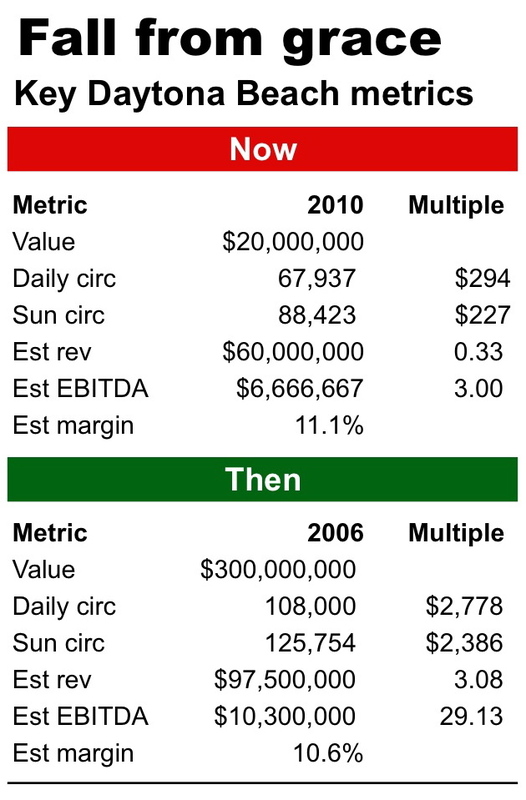 As you can see from the column titled “Multiple” on the “Now” table, the News-Journal today is valued at 3x its EBITDA. If you know your paper’s EBITDA, multiply it by 3 to calculate its approximate value. If you average the outcomes of all three of the above methods, you can arrive at a pretty fair approximation of what your paper is worth. If you have access to data from 2006, you can run a comparison between then and now. But it won’t be pretty. Last year may have been the worst in the history of the newspaper business but this year could be even worse. After advertising plummeted by a historic 27.2% in 2009 to $27.6 billion, sales continued to fall at mid-teen levels in the first part of 2010, according to anecdotal reports from publishers in diversified markets in various regions of the country. While these early soundings are not systematic or definitive, they suggest that newspaper advertising, which accounts for some 80% of the industry’s revenues (circulation makes up the rest), could hit another new low if the long-running sales decline is not arrested abruptly by the middle of the year. In what now passes for good news for publishers, the Newspaper Association of America yesterday reported that the skid in newspaper sales was “only” 23.7% in the final period of 2009 – a year in which sales declined 28.3% in the first quarter, 29.0% in the second period and 29.9% in the third quarter. If the rate of decay continues to slow in 2010, the industry will shrink at a slower pace than it did last year. But it still will continue to shrink. And declining shrinkage should not be taken as a sign of health. The year 2009 marked the fourth straight year of rapidly accelerating revenue declines for the industry since it hit all-time high revenues of $49.4 billion in 2005. Thus, 43% of the industry’s sales have gone up in smoke. :: Classified advertising dived 38% to $6.2 billion, falling 64% from the $17.3 billion booked in 2005.
:: National advertising skidded 26% to $4.4 billion, dropping 44% from the $7.9 billion sold in 2005.
:: Retail advertising plunged 24% to $$14.2 billion, sliding 36% from the $22.2 billion posted in 2005. Online advertising last year tumbled nearly 12% to $2.7 billion, which represents an improvement from the $2 billion in digital advertising sold in 2005. The 1% decline in online ad sales in the fourth quarter of 2009 suggests interactive advertising could be the first category to turn the corner. Unfortunately, digital advertising represent only 10% of total ad revenues. While the 2009 ad slump undoubtedly was aggravated by the worst economic calamity since the Great Depression, the erosion in newspaper ad sales commenced well before the economy soured. 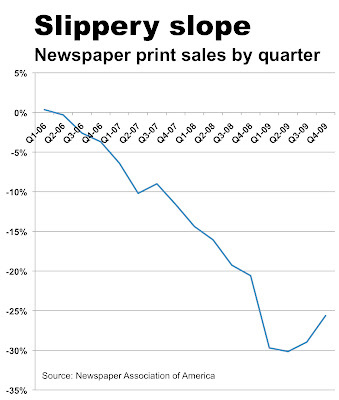 As illustrated in the chart below, newspapers have not had a positive quarter for print advertising sales since April 1, 2006. Although it is too early to try to project what newspaper sales will be in 2010, you are entitled to an accounting for how well I did in 2009. As you can see here, I projected on Aug. 31 that “consolidated print and online ad sales likely will be no better than $27 billion this year” vs. the actual $27.6 billion. For the sake of the battered industry, I wish I had been wrong. The four newspaper companies that have exited bankruptcy to date have shed three-quarters of their of debt, collectively trimming nearly $2 billion in burdensome obligations. In so doing, the publishers will take some pressure off their newspapers to produce aggressive profits during an historic – and ongoing – collapse in advertising sales. But that doesn’t mean the staffs at those newspapers can rest easy. 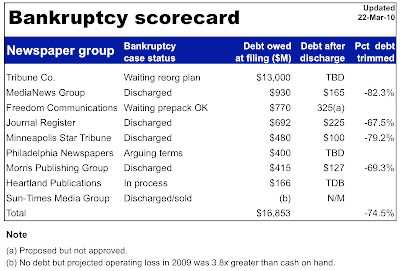 As detailed in the Bankruptcy Scorecard below, the publishers who unburdened their balance sheets through Chapter 11 are MediaNews Group, which chucked 82% of its debt; Minneapolis Star Tribune, which deep-sixed 79% of its debt; Morris Publishing Group, which dumped 69% of its debt, and Journal Register Co., which unloaded 68% of its debt. Collectively, the foursome stiffed their lenders for $1.9 billion, or 74.5% of their outstanding debt. In most cases, lenders were persuaded to forgive a portion of the debt in exchange for an ongoing ownership stake in the companies, which will have value only if the companies can be sold somewhere down the line for more than they are worth today. With the amenable settlement of these four bankruptcies, the cases of four more publishers remain to work through the federal bankruptcy courts. Together, the publishers in the pending cases are seeking relief from $14.3 billion in debt, though most of that sum is associated with the Tribune Co., which owes creditors nearly $13 billion. While Freedom Communications appears to be progressing towards a prepackaged bankruptcy where creditors agree in advance to the size of their haircut and the future governance of the company, the final terms of the other three pending bankruptcies are less clear. The Philadelphia Newspapers, for example, have been engaged in a long-running tussle with creditors over who will control the company when it emerges from Chapter 11. The issue may be resolved on April 27 when the company is scheduled put up for auction. The ninth of the nine publishers that have declared bankruptcy is the Sun-Times Media Group, which was discharged last year when it was purchased for a token sum by a group of Chicago businessmen. The paper, which had no debt prior to filing, went into bankruptcy because it was running out cash to fund its operations. The bankruptcy process helped STMG unwind a number of obligations, including millions of dollars in unpaid taxes. Publishers are using bankruptcy to strip debt off their balance sheets to reduce the amount of cash they need to generate from operations to pay interest and principal on their obligations. The high debt loads carried by publishers prior to the collapse in advertising sales caused most companies to drastically cut staffing and other expenses to try to extract enough cash from their operations to stay current on their obligations. As advertising plunged 43% from a high of $49 billion in 2005 to an estimated $28 billion in 2009, even the most determined publishers found they could not keep up with the obligations to their creditors. The significant reduction in debt enabled by Chapter 11 gives them a chance to start with significantly cleaner slates. But neither pubishers, nor their employees, are out of the woods. The post-bankruptcy agreements struck between creditors and publishers call for all manner of stringent performance standards, not the least of which is exacting profit targets. To the degree newspaper revenues continue to slide – as they appear to be doing by double-digit levels in the first months of this year – publishers will be challenged to deliver on the fresh promises they have made. And that could lead to more of the production consolidation, job outsourcing, staff cutting and news hole shrinking that characterized the pre-Chapter 11 era. Far from being fuddy-duddy Luddites, newspaper website visitors actually appear to be early and passionate technology adopters. The surprisingly high interest in high tech among online news consumers is revealed in a ground-breaking poll by Greg Harmon of ITZ Belden, who discovered that news-site visitors own 1.5 times more smart phones than the average American and are eager to get their hands on the new iPad. In a survey of visitors to the websites of three newspapers in mid-sized communities far from the tech hubs on either coast, Harmon found that 30% of site visitors already have smart phones and that 25% of them are thinking about acquiring one. By contrast, the Nielsen Co. last summer said national smart-phone penetration was barely 17% while Harmon found it to be 25% among news-site visitors. With about two weeks to go before the iPad ships on April 3, researcher Harmon said a “stunning” 30% of visitors to newspaper sites are considering the purchase of the latest Apple confection in addition to the 6% of respondents who already bought Kindles or another early e-reader. After confirming the integrity of his research, Harmon said he was bowled over because the results came from non-urban markets where the circulation of the three participating papers ranged from 50,000 to 70,000. The publishers of the papers asked him not to identify the markets. As smart phones, personal digital assistants and other technical toys were introduced over the years, the usual pattern was that the number of consumers contemplating purchases would be twice as great as the number of consumers who actually owned them. This time around, however, the number of potential tablet buyers is five times greater than the number of current e-reader owners. Harmon said the interest in tablets spiked after the high-profile launch of the iPad in January. “The number of people considering tablets basically doubled overnight,” he said. News-site consumers appear to be technologically intrepid in spite of the fact that they are just as gray as print readers. As is the case with print products, more than half of the online audience at newspaper sites is over the age of 50, an age cohort representing only about 30% of the total U.S. population. Like print consumers, online visitors tend to be wealthier and better educated than the population as a whole. Now, it looks like they are tech-savvy, too. While the evidently powerful interest among news consumers in the iPad is good for Apple, it should serve as a wake-up call to newspaper publishers, who have been slow to think about how to modify their products to serve what now appears to be a faster-developing market than most of them thought it would be. 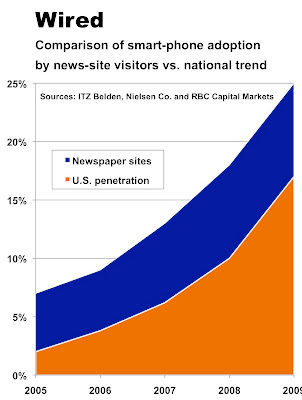 As is illustrated in the table below, the rapid adoption of smart phones among newspaper-site visitors suggests that many publishers already may be late in developing sophisticated applications in a fast-accelerating market where more than 3 billion applications to date have been downloaded for the iPhone alone. While newspapers are struggling to stabilize their core print business at a time of contacting readership and advertising, they somehow must find the time, resources and inspiration to develop far more sophisticated next-gen digital products than they have to date. If newspapers fail to produce appealing cross-media content for the emerging tablet and smart-phone platforms, they will lose what’s left of their readers and advertisers to the competitors who do. The March print issue of Editor & Publisher is in the mail, featuring an excerpt from Ken Doctor's highly acclaimed “Newsonomics” – and an exclusive column from Alan Mutter, the newspaper consultant and former Chicago Sun-Times editor who writes the popular “Reflections of a Newsosaur” blog. In the March cover story, Senior Editor Jim Rosenberg, E&P’s operations expert, explains how Tribune Co. is approaching hyperlocal in both print and digital platforms in the Chicago suburbs. Senior Editor Jennifer Saba explores what it takes to make money from mobile, and Clyde Bentley of the Missouri School of Journalism offers a timeline for newsrooms to become profitable “mobile-first” centers. Phil Murray of the mergers-and-acquisitions firm Dirks, Van Essen & Murray, surveys the marketplace for newspapers. And Louise D. (Lou) Phelps advises what newspapers can do when ad agencies won’t pay up. Mutter’s first monthly column, “Newsosaur: Offline/On Target,” tells newspapers how they can get their share of the $17 billion Yellow Pages directory market. Are small papers safe? Yes. No. Maybe. Publishers in small and medium communities largely think they are safe from the readership and advertising declines that are eating away at most metro newspapers. Are they? Yes, no and maybe. The ambiguity results from the fact that the outlook for any particular non-metro paper depends on the unique characteristics of the market in which it happens to be located. While there is no one-size-fits-all answer, a number of common considerations determine the outlook for a particular publication. Here are the good, the bad and the unknown factors that every non-metro publisher should consider. The principal advantage enjoyed by most small papers is a degree of isolation from competing media, thus giving them the opportunity to be the leading vehicles for information and advertising in their communities. Most small and medium papers have no meaningful print competitors. Typically, broadcast competition consists of a few local radio stations or television signals piped in from a neighboring area. Many rural communities also lag the nation in the quality of Internet and mobile services available to them, reducing the usefulness of digital media to their residents. Although this represents a competitive edge for the time being for smaller papers, this advantage may decrease as the result of the $7.2 billion allocated in the Recovery Act to extend broadband connectivity to rural areas. The Federal Communications Commission also is scheduled to release a plan of its own tomorrow to extend broadband to rural areas. Taken together, the above factors tend to support higher and more loyal readership in non-metro markets, thereby potentially leading to higher ad rates than are possible in highly competitive metro areas. Owing to the strength of their defensible local franchises, sales fell 12.4% at non-metro papers in the second quarter of 2009, as compared with a 30.2% revenue drop across the rest of the industry. The small-paper sales figure was reported by the Suburban Newspapers of America and National Newspaper Association, which since have discontinued compiling sales results among their members. The national figure comes from the Newspaper Association of America. While isolation is a good thing when the local economy is going well, it can be devastating if something goes wrong. If a community relies heavily on a particular mining operation, manufacturing complex, call center, prison or agricultural specialty, then bad news at the principal economic engine in town can be devastating for the paper. Because small and medium papers are particularly dependent on advertising from local retailers, the arrival of a new Wal-Mart has been known to mortally wound the business of many a Main Street merchant even if the diversified local economy is doing perfectly well. A number of rural papers face not just economic, but also demographic, exposure. That’s because non-metro communities have aged more rapidly than the urban markets since the 1960s. 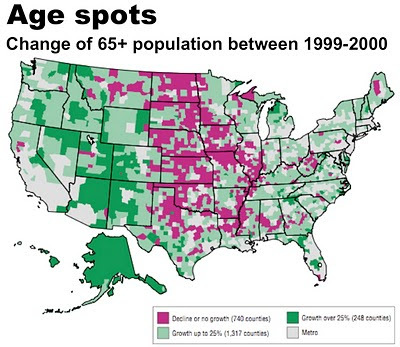 By 2000, “the median age in non-metro counties was nearly four years older than the metro population,” said a study published in January, 2009, by the sociology department at Cornell University. In the short term, an older population is a good thing for newspapers, because (as previously reported here) half of newspaper readers are 50 or older, even though this cohort represents only 30% of the nation’s population. Unless newspapers find a way to replace their aging readers, they will be in trouble as the seniors die off. With many rural papers having older audiences than most metros, the clock actually is ticking faster for them than for their big-city cousins. While non-metro papers typically may not be able to fully counteract the economic and demographic forces arrayed against them, they can fortify themselves by assuring their indispensability to their communities. This means investing in the production of unique and compelling local content, as well as the creation of highly effective print and digital advertising products. To the degree publishers emphasize short-term profits over long-term engagement, they will damage their franchises – and open the way to low-cost online competitors. In the final analysis, the viability of small and medium papers will depend on how much publishers are willing to put into them. While sales have fallen an average of 27.4% at newspaper companies in the last two years, profits have plunged 1.7 times faster, according to an analysis of the financial statements of the publicly held publishers. The average 45.9% dive in profitability at the publicly traded newspaper companies since 2007 represents not only serious financial challenges for the companies but also threatens the quality of the journalism that such major publishers as Gannett, McClatchy and the New York Times Co. may be able to produce in the future. News staffs and news holes already have undergone significant contraction as publishers sought to preserve profits since advertising sales began shrinking in 2006. 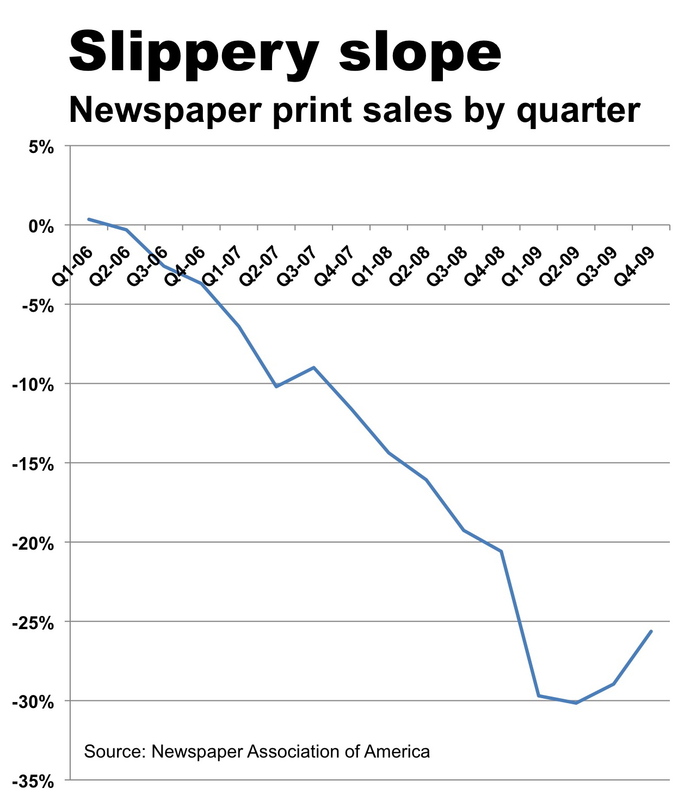 But the sharp decline in newspaper profitability in the last two years means that those cuts – and all the other economies undertaken by desperate publishers – have not come remotely close to preserving the industry’s historically high profitability. Unless ad sales begin to rebound vigorously and soon, publishers will have to become increasingly aggressive about cutting expenses to preserve whatever profits they can. Because editorial staffing and news hole are among the easiest expenses to cut, they are likely to come in for a disproportionate amount of unwanted attention. Ad sales, which represent some 80% of the revenue stream at a typical newspaper (circulation revenues make up the rest), have been sliding steadily since hitting an all-time high of $49.4 billion in 2005. Sales fell fractionally in 2006, 7.9% in 2007, 16.6% in 2008 and probably 25% or more in 2009 (final numbers are pending), according to the Newspaper Association of America. Though publishers reported that sales in the fourth quarter of 2009 fell by “only” about 20% after tumbling as much as 30% in prior quarters in the year, most publishers said sales in the first part of 2o10 were continuing to decline by double digits. To put it mildly, the industry is far from being on the road to recovery. But that doesn’t relieve publishers from the expectations of investors and lenders, who are counting on them to deliver something close to the rich profits that newspapers dependably generated in the past. Lenders, in particular, are relying on newspapers to make enough money to cover future interest and principal payments on debt that at least some analysts believe is unsustainably high. Although several publishers have renegotiated their debt to get more lenient terms than were in place a few years back, most of the agreements anticipate that newspaper sales and profits will stabilize – if not increase. 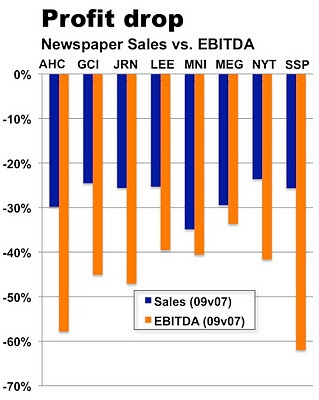 Despite the traumatic cost cutting that has savaged the newspaper business since 2007, an analysis of the financial performance of eight publicly traded companies shows that they fell far short in 2009 of delivering the EBITDA they produced as recently as 2007. EBITDA, which stands for earnings before interest, taxes, depreciation and amortization, is commonly used to measure the profitability of a company without regard to such extraordinary events as severance payments, plant shutdowns or losses occasioned by declines in the value of their assets. Several publishers in recent years have been forced by accounting rules to reduce the book value of acquisitions that, in retrospect, were vastly overpriced. Because EBITDA looks only at how much money a company makes after it subtracts operating expenses from the revenues it brings in, it is a way of gauging the ongoing health of a business. As detailed in the chart below, not a single one of the eight surveyed publishers has been able to hold the line on its profitability in the last two years. The companies included in the analysis are such pure-play newspaper publishers as A.H. Belo (AHC), Lee Enterprises (LEE) and McClatchy (MNI). The companies combining newspapers with broadcasting are Gannett (GCI), Journal Communications (JRN), Media General (MEG) and E.W. Scripps (SSP). The New York Times Co. (NYT), owns About.Com, a major online subsidiary. GateHouse Media was not included in the analysis, because its sales grew through acquisition in the last two years. Its revenues rose 1% between 2007 and 2009, while EBITDA fell 24.4%. News Corp. and the Washington Post Co. were not included in the survey, because U.S. newspaper operations represent no more than a third of the business of each company.News Corp. is more broadcster than publisher and WaPo is an test-preparation company. While tumbling profitability represents a serious danger to the financial and journalistic health of newspaper companies, it is important to note that the industry’s average 15% EBITDA in 2009 puts it on a par with Exxon and Chevron. Newspapers are twice as profitable as Wal-Mart and three times more profitable than the Ford Motor Co. Unfortunately for newspapers, their reduced profitability falls short of their historic performance – and the expectations of the financial community to whom they must answer. George H.W. Bush, who parachuted to safety when his Navy aircraft was shot down in World War II, marked his 75th, 80th and 85th birthdays by jumping out of planes for the fun of it. In celebration of their milestone birthdays, other octogenarians and near-octogenarians have been known to take a world tour, take up with a tootsie or take a nap. If you get that far and you have a couple of bucks, why not? You earned it. But some octogenarian adventures are more elaborate than others. And one of the biggest and most expensive of all time has got to be Rupert Murdoch’s decision to mark his 79th birthday on March 11 by launching a New York edition of the Wall Street Journal to compete with the New York Times. Inasmuch as no meaningful business advantage can be gained from this epic octo-quest, the initiative amounts to nothing more than an expensive ego trip aimed at kicking the NYT while it’s down. If Murdoch could put the Gray Lady out of business and pick up the pieces – or if the exercise opened the way for him to buy her – there might be a business rationale to the undertaking. But a New York edition of the Journal will not fatally damage the Times. And even if Murdoch forced the NYT into play, he would be blocked by antitrust regulators from buying the paper because he already owns the Journal and the New York Post. This almost certainly will be the last great newspaper war in history, in no small part because we rapidly are running out of multiple-newspaper towns in which to wage them. But the fight won’t be fair. While sales climbed 6% to $30.4 billion at News Corp. between 2007 and 2009, the revenues in the last two years slid 24% to $2.4 billion for the parent of the NYT. Although Murdoch’s pretax profits fell 27% in the two-year period, earnings dived 42% at NYT. If you are a rational individual, the only reason to make a business investment is to make money. You can do so in the publishing business by building a bigger audience or selling more advertising – or both. You can achieve these ends either by creating a new product or taking business away from a competitor. Now, let’s see how the New York initiative stacks up against these concepts. With respect to audience, Murdoch has little chance of creating a consequential new market for the Journal by adding a New York section. Not only is the newspaper business itself in secular decline, but most of the people who take the Times probably would not see enhanced metro coverage in the Journal as a sufficient reason for switching. Further, most of the Times readers in New York who are inclined to read the Journal probably buy it already. Therefore, a beefed-up Journal is unlikely to either generate a significant new audience for the Journal or take a material number of readers away from the Times. While Murdoch presumably will employ aggressive discounting to try to get traditional NYT advertisers to shift some of their budget to the Journal, he will find himself fighting over a pie that has been shrinking steadily for the last several years. Assuming advertisers believe the Times delivers for them, there is no reason for advertisers to experiment with shifting a substantial share of their buy to the Journal. To be sure, Murdoch may starve the Times to a degree. But there is no reason to believe he can starve it to death. In the meantime, the costs of starting, staffing and sustaining his new metro edition almost certainly will be far greater than whatever revenues he brings in. Given the questionable commercial rationale for this high-stakes initiative, why is Murdoch taking it on? In a word: ego. Murdoch is a throwback to the days when people bought newspapers for the power and status of being able to tell others what to think. By making the Times defend its home turf in New York, Murdoch hopes to force the paper to divert more of its dwindling newsroom resources away from its distinguished national and international coverage. In so doing, Murdoch hopes not only to supplant the Times as the nation’s newspaper of record but also to give himself even greater influence than he enjoys today in setting the national agenda. Even this rationale isn’t rational. Murdoch already wields considerable influence on Wall Street and in Washington with the formidable and well respected Journal. His Fox News cable network exerts disproportionately large power over the national dialogue despite an audience that attracts fewer than a million viewers on most days. He also is already a full-on player in New York with the feisty, outspoken and never-boring Post. How many media pulpits does one bully need? 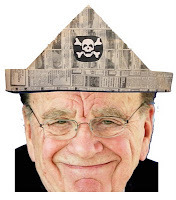 As the last of the red-blooded newspaper barons, Murdoch wants to be right even more than he wants to be rich. Unfortunately for the Times, his absolute control over News Corp. and his personal net worth of $6 billion means he will continue be rich for a very long time, giving him ample ammo to pursue his petulant agenda. A coalition of traditional and digital publishers this month will launch the first-ever concerted crackdown on copyright pirates on the web, initially targeting violators who use large numbers of intact articles. Details of the crackdown were provided by Jim Pitkow, the chief executive of Attributor, a Silicon Valley start-up that has been selected as the agent for several publishers who want to be compensated by websites that are using their content without paying licensing fees. The first offending sites to be targeted will be those using 80% or more of copyrighted stories more than 10 times per month. In the first stage of a multi-step process aimed at encouraging copyright compliance instead of punishing scofflaws, Pitkow said online publishers identified by his company will be sent a letter informing them of the violations and urging them to enter into license agreements with the publishers whose content appears on their sites. If copyright pirates refuse to pay, Attributor will request the major search engines to remove offending pages from search results and will ask banner services to stop serving ads to pages containing unauthorized content. The search engines and ad services are required to immediately honor such requests by the federal Digital Millennium Copyright Act (DMCA). If the above efforts fail, Attributor will ask hosting services to take down pirate sites. Because hosting services face legal liability under the DCMA if they do not comply, they will act quickly, said Pitkow. “We are not going after past damages” from sites running unauthorized content said Pitkow. The emphasis, he said is “to engage with publishers to bring them into compliance” by getting them to agree to pay license fees to copyright holders in the future. License fees, which are set by each of the individual organizations producing content, may range from token sums for a small publisher to several hundred dollars for yearlong rights to a piece from a major publisher, said Pitkow. Attributor identifies copyright violators by scraping the web to find copyrighted content on unauthorized sites. A team of investigators will contact violators in an effort to bring them into compliance or, alternatively, begin taking action under DMCA. Offshore sites will not be immune from the crackdown, said Pitkow, because almost all of them depend on banner ads served by U.S.-based services. Because the DMCA requires the ad service to act against any violator, Attributor says it can interdict the revenue lifeline at any offending site in the world. Attributor already has been engaged by several major book publishers to get unauthorized eBooks off unauthorized sites. “And we have 99% success rate,” he said. Some people think journalism students are ill served by being encouraged to pay hefty tuition to take classes aimed at creating free content for the New York Times and certain other prominent commercial outlets. Some people think those classes give students invaluable professional experience and valuable clips that will equip them to launch their careers in the increasingly treacherous profession of journalism. While these arrangements distinctly benefit media companies (which rightfully ought to compensate student contributors with something more tangible than “exposure”), the programs on balance represent a fair bargain for journalism students, who will need every advantage in launching their careers at a time most traditional news organizations are chopping staffs instead of expanding them. Like all college students (I was one in an earlier life), parents of college students (I write $40,000 in checks annually) and most fellow journalism educators (see discolsure below), I wish tuition and living expenses were lots cheaper than they are. I particularly hate the idea of young people (or their families) going heavily into hock to pursue their dreams. But the reality is that there’s a cost in cash and apprenticeship time to nearly every type of professional education, with the possible exception of the oldest one in the world. While a powerful case can me made that it is better to train for a career as a veterinarian, firefighter or long-distance truck driver than a journalist, it is hard to dissuade those of us who are hopelessly compelled to pursue a creative career filled with constant learning and the ever-present opportunity to comfort the afflicted and afflict the comfortable. I would not try to talk anyone into a career in journalism at this perilous time for the profession. But I also know that the calling in many cases cannot be denied. Those determined to pursue a career in journalism will need all the help they can get in doing so. And that is where journalism schools come in. If j-schools uphold their end of the bargain by equipping students with the skills, savvy and sophistication to make their way in the profession after graduation, then they will have done right by their students. One of the most significant things j-schools can do is to provide students with hands-on experience under the guidance of qualified instructors. Well before any of us could spell WWW, the best journalism schools taught writing, editing, photography, broadcast production and, in my case, how to set type one letter at a time. The hyper-local sites like the one operated by City University of New York in conjunction with the New York Times not only provide traditional instruction in reporting and storytelling but also offer dynamic, in-the-moment experience in the way audiences ebb and flow in response to coverage on the web. If the future of most media will be interactive – and, by golly, it will – then students need to understand how to build audiences by propagating their work through search-engine optimization, social networks and whatever the next big thing turns out to be. Because all trends suggest that jobs are unlikely to be in abundance when students exit journalism school, they will have to be sufficiently entrepreneurial to leverage the openness of interactive publishing to ensure that they can build remunerative and satisfying careers. This means they will have to establish themselves as experts in one or more specialties so as to build identifiable personal brands. To a large degree, they will be on their own to monetize those brands by selling ads, selling subscriptions, giving lectures, writing books, staging live events and doing anything else they can think of. You can read and talk about this stuff all you want, but there is no substitute for real-time, big-time multimedia exposure. It doesn’t get real-er or bigger than the New York Times. If my daughter were interested in a journalism career, I would urge her to take one of those classes. And I would cheerfully write the check. OK, not cheerfully. But I would write it, anyway. Full Disclosure: I teach one course per term at the Graduate School of Journalism at the University of California at Berkeley but the classes involve media economics or entrepreneurship and do not involve any present or future apprenticeships or internships that may be offered by the school.